I have never been around more Dutch people than in the Church of my youth. It was generally know as the “Dutch Church” while there was actually only one family from the Netherlands. 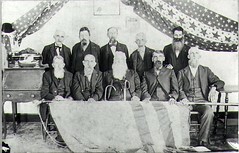 The vast majority of the other members had been born and raised in the United States. However, many could claim a Dutch ancestry but their motherland dead-ended in Minnesota. They knew very little of the actual Netherlands much beyond windmills, tulips, and canals. However, that did not prevent a very real ethnic identity within that Church. There was distinct passion and pride for all things Dutch. Most members’ homes contained some knick-knack, trinket, or lawn ornament paying homage to Holland. I remember one family friend who wore a baseball cap emblazoned with “If You Ain’t Dutch?, You Ain’t Much!”. Many in this small community held that opinion and those outside felt its sting. It was a bit ironic how fiercely loyal they could be to a heritage which was more American than Dutch. Most had no idea of the providence in the Netherlands, from which their ancestors migrated; that there actually are providences; that there is no country called Holland; that the Kingdom of the Netherland extends to the Caribbean; that Rembrandt, Vermeer and Van Gogh were Dutch painters; that the war of the United States of Independence was significantly financed by the merchants of Holland. They do not know anything of the politics, geography, or culture of their heritage but they sure were proud of it. I don’t think that my experience was unique. Every major city has ethnic neighborhoods. There is little, Saigon, Pakistan, Italy, Moscow, Manila, and Poland, just to name a few. There is Chinatown, Germantown, Koreatown, Japantown, and Frenchville. All are areas with a very distinct ethnic identity; an identity for a place that is not the inhabitants’ current home. The zeal for a place that most in the community have never known. The Apostle Paul writes that all who are in Christ are citizens of the Kingdom of God. Now, there is a reason for some zeal. The Kingdom of God is better than any kingdom of this earth; being a child of God is better than being a member of any nationality. Fierce loyalty is an appropriate response of someone who has been adopted as a fellow heir with Christ. I should be zealous for this place that I have never been. The good news is that this place of my hope and zeal is not exclusive. My heritage is Dutch. My son and daughter are Korean. They can never be Dutch. I can never be Korean. Yet, the origins of our pasts do not prevent us from being fellow citizens with the saints and members of the household of God. The community of God does not have barriers of discrimination or superiority. God’s kingdom is open to all who will come to him regardless of race, gender, or nationality. That should get us passionate about who we have become in Christ. How can any of us “ho-hum” this place of our hope? How can any follower of Christ prefer the world more than the place of our new citizenship? We should be fired up about who we are in Christ! While it is silly to think that if you ain’t Dutch, you ain’t much, it is true that if you ain’t got Christ, you ain’t got anything. We should want others to be like us because it is better to have eternal life. Our zeal for the Lord should fire us up to boldly proclaim our true citizenship and call the world to our Lord and Savior, Jesus Christ. PRAYER: Lord, you have given me a heritage that is far better than anything this world has to offer. Father, thank you for adopting me into your family. Thank you for giving me an inheritance and a hope. Thank you for saving me. Lord, may my zeal for You be seen. My hope in you be evident in all that I do. Help me to boldly proclaim the free gift of citizenship that You are offering to all people. May your name be praised and glorified. I pray this in the precious name of your Son, Jesus Christ. Amen. Old black and white photographs have a way of capturing my imagination beyond any portrait painting. Gazing into images of real people with stern and dower expressions cause me to wonder about by-gone ages. I am easily entertained speculating about what their thoughts and dreams might have been; hypothesizing as to their adventures or romances. Had they been respected or despised? Were they a hero or a coward? Did they have a sense of humor? What did their laugh sound like? Were they kind? Did they love? Were they loved? Unfortunately, one cannot deduce much about who a person really was from a photograph. My parents have many such photographs hanging on their wall. Their hallway has a gallery documenting my family lineage. The characters in those images have names, many of which I cannot remember. They have titles such as great-great-grandfather, great-grandmother, cousins, uncles and aunts who passed decades ago. They represent a vast network of expanding branches emanating from what is my family tree. However, these images don’t connect with me beyond a fascination that I contain some of their genetic composition…which is not very comforting considering the general unattractiveness of many of my fore-fathers. Any connection to these images only begins towards the end of the hallway with the images of my Grandparents. I knew them. I played games and laughed with them. I worked with them. I listened to the stories that they told. I knew of their thoughts and dreams. I was told of their adventures and romances. I knew that they loved me. They were so much more to me than an image in a photograph. Yet, I realize that they are but another image in a long line of images to my children. My children never knew my grandparents. Their connection to my grandparents mirrors my own connection to the portrait of my great-great-grandfather. I am saddened to know that the memories of people who I loved are being lost to unrelenting pressure of time’s passage. The speed at which we are lost to history is astonishing. The majority of us will be consumed into the fog bank of the past within a generation or two. The knowledge of who we really were will simply fade away as age catches up with those who actually knew us. The brevity of our lives in the span of history might be depressing if this world was all there was. Fortunately, a life span on planet earth is not all that there is for those who are in Christ. I have heard this life described as the warm-up for the symphony. As we move along the narrow road, we are fine tuning our walk; we play our part of the score on our own or maybe with a few others; we might strike the wrong note; we might play with poor timing; we might play with near perfection. However, no musician has ever laid down his instrument and walked from the stage after a perfect performance in the warm-up. They don’t take a bow after tuning-up because they have not come for the warm-up. They are there for the symphony. For those in Christ, our symphony gets its full voice when we take our place among the redeemed. The beautiful sound of the redeemed praising their redeemer will be a performance beyond what this world can even contain. Paul tells us that nothing is this world, not even his suffering, is worth comparing to the glories that will be revealed to us. Those are the glories that we are currently warming-up for. It is for those glories that we continue to diligently and obediently follow our Lord through this life. The full symphony is coming. The time when we will be freed from this sinful flesh to fully glorify our Lord and Savior is not far way. I don’t believe that there will be any of the redeemed who will be disappointed that their warm-up was forgotten when they raise their voice before the King of kings. In glory, they will know that the Most High never forgot their warm-up. They will know that their Shepherd will have brought them to that moment for that purpose; the purpose for which we were created and will finally and fully fulfill. 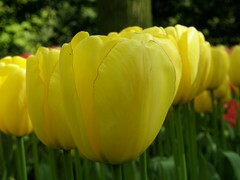 When compared to the glories that we are being called to, the value of being remembered by this world is but a trinket. PRAYER: Lord, thank you for giving me so much to look forward to. I can’t wait. Lord, come quickly. Help me to make the most of the time that you have given me here. Help to warm-up well. Help me to make the most of all the opportunities that you provide. Help me to glorify you in all that I do in anticipation of the glories that are coming. I long for the day that you bring me to my place among the redeemed. You truly have blessed me in abundance. I pray this in the precious name of your Son, Jesus Christ. Amen. I am doing OK. I would like for my work not to be so slow. I would like not to have to deal with management issues. I would like for winter to be over. I would like to remodel our kitchen. I would like my Church to feel more like home. I would like to be rid of this nagging cough. I would like to be in better shape. I would like to get more done in a day. It is easy to come up with a list of things you would like to change. My list is very minor. I know that some folks are dealing with major issues. I am blessed to have such an insignificant list of wants. However, that is not why I am blessed. I am not blessed because I have a good life. I am not blessed because I am financially secure. I am not blessed because my family and I are reasonable healthy. I am not blessed because I am free to worship my God in the open. I am not blessed because I have a nice home. If I were to lose all of those wonderful things, I would still be blessed. I am blessed because my God is in heaven and there is no one like Him. I am blessed because His steadfast love and faithfulness goes out before Him and it washes over me. Who is like the Lord in all the skies? NO ONE! Who among all the heavenly beings is like the Lord? NO ONE! Who can challenge the might of the Lord! NO ONE! 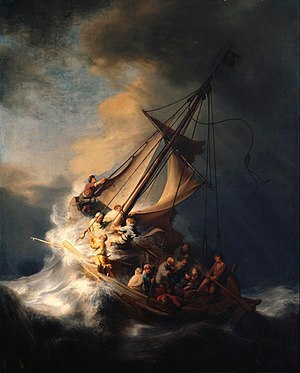 Who can rule the raging seas like the Lord? NO ONE! Who owns heaven and earth? The LORD! Who owns the world and all that is in it? The LORD! Who has a mighty arm and a strong right hand? The LORD! No one is like the Lord and He knows me. The light of His face shines upon me. It is His glory that gives me strength. I can’t even comprehend how blessed I am. I am a child of the Lord whose wonders are praised by the heavens. That is who has adopted me. It is His glory that fills my lungs and sets me upon solid ground. It seems like most people have a very similar tendency. If we are shown an image enough times we begin to accept it as real even when we know it is a caricature. Caricatures are used all the time to help communicate a point. I have seen characteristics exaggerated to highlight what can be overlooked. I have also seen caricatures used to simplify that which is hard to fathom. The problem is when the caricature becomes so engrained that we begin to believe the distortion. 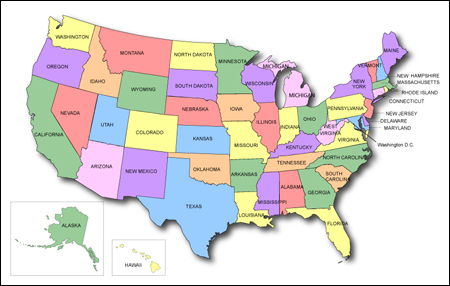 What is the largest US state? Most of us know that Alaska is the largest state, followed by Texas. However, I think many people fail to grasp the true size of Alaska. We become so familiar with this common map of the United States that our perception of Alaska is that it is just a little bit bigger than Texas. 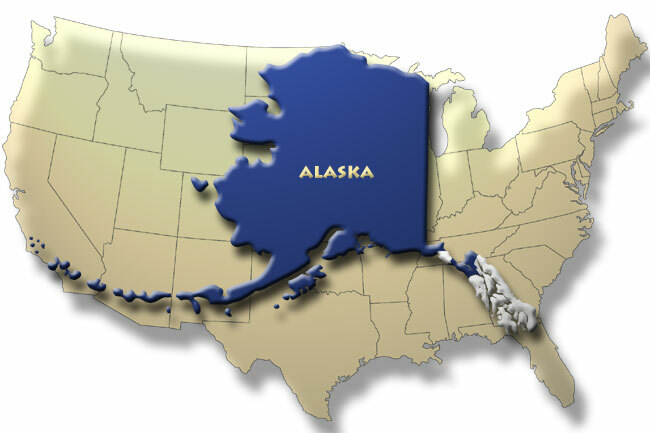 The reason Alaska has to be shown at the scale it is on the map is in order to get it to fit. This map puts Alaska into scale for us. Alaska is big. It is really, really big. I mean no offence to my friends in Texas but y’all need to come up with a new slogan. Our God is like this. God is so big that we have to use caricatures to simplify Him, so that we can explain and understand Him. The scale of God is indescribable. Louie Giglio does a great job in this video, giving us a perspective of the indescribable-ness of God. It is so important to occasionally take our eyes off of our God caricatures and behold the true scale of the Almighty. This is the Milky Way. Just consider that God made this with the breath of his mouth; our small, little, insignificant, backwater of the Universe that still contains billions of stars just like our own. God not only created that but the entire Universe, with a word. Let that sink in – with a word! We get so familiar with the caricatures of Jesus holding us, carrying us, comforting us, defending us; all of which are very true and demonstrate wonderful characteristics of our God. However, there is a gigantic scale distortion in those images. We may begin to think that we are on God’s scale if those images are all that we behold. We can default into thinking that our glory is almost as important as God’s glory. It is so very important to take our eyes off our caricature aids and behold the grandeur of our God. 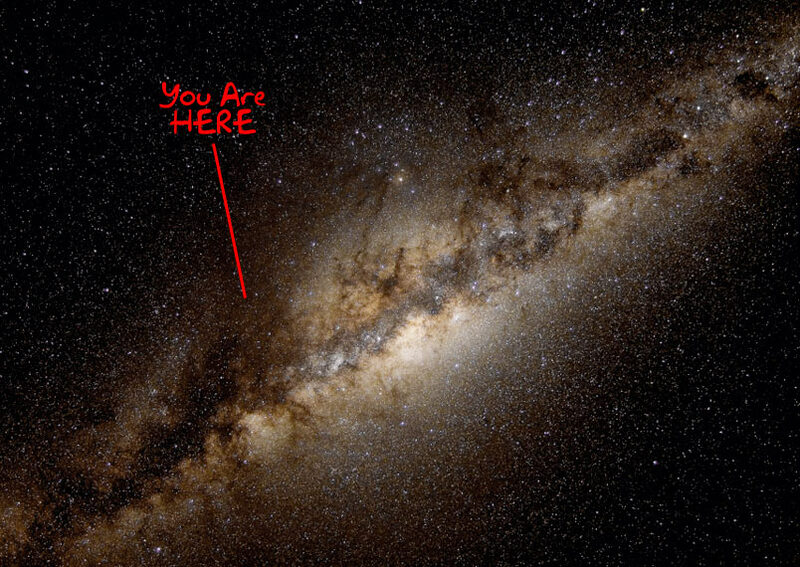 Behold the scale of the universe…that is just a word of God Almighty. How does your glory stack up against that? I have had the chance to watch government function at the local level as part of my job. Governments are very good are making laws and ordinances to solve problems. I have never really been “delighted” by legal code. I have known some lawmakers to be rather self-righteous in their conviction of the laws that they pass. Until, they’re affected by those laws. I have seen many a government official struggle with their own ordinances and standards when their adherence is expensive or inconvenient. It is a statement to a lawmakers lack of integrity when they exempt themselves from their own laws. There will never be another god that comes along who is greater than he is. He is the only game in town. If that happens, then God breaks his own law. God will never serve or worship anything other than himself. If anything is ever above God, then God breaks his own law. God’s glory is a big deal. It is very important; he will never consider his own name as unimportant. If that happens, then God breaks his own law. God is holy and will always maintain his holiness. If He allows the holy to become unholy, then God breaks his own law. God is due all honor and will respond appropriately to maintian His honor. If he allows himself to be dishonored, then God breaks his own law. God will never take an innocent live. The innocent have nothing to fear from him. If God unjustly takes a life, then God breaks his own law. God will never break his covenant with his people. If he were to abandon us for another, then God breaks his own law. God will never cheat us. He will never do an unfair deal with us. His scales will always be fair. When God offers us something, we should take it because it has to be a good deal. If it wasn’t a good deal, then God breaks his own law. Everything that God says is true. We can trust what he tells us. If God tells us something untrue, then he breaks His own law. God will never desire something that is not his. When God covets our love and obedience, it is because it is already his. It is due him. If it wasn’t due Him, he would be breaking his own law. God’s law tells us what we can take to the bank about him. This is why we can delight in God’s law. It tells us what an incredible God we have. When was the last time you bought something that was really exciting? How long did that excitement last? I’m amazed at how quickly the exceptional becomes ordinary. We have a problem with de-valuing the familiar. That is why we go looking for our next excitement “fix”. We are addicted to “newness”. Shopping is often called “therapy”but “jonesing” is probably more accurate. The appetite for “new” is not limited to the material. Jonesing can be just as prevelent in our spiritual lives when we are pursuing that elusive “spiritual high”. We can be so preoccupied with new spiritual motivation that we de-value the most incredible & miraculous – our own salvation. The fact that those who are in Christ have their names written in the book of life should never cease to amaze. That should be the source of my rejoicing. That doesn’t mean I don’t rejoice in all the other increbible works of God but salvation is my default source of praise. It is a source that never runs dry and we never have to go in search of replenishment. We should never let the our own salvation become ordinary. Every morning, we should be rejoicing – may the Lord restore the newness and the joy of our salvation this very morning and every morning. You are currently browsing the archives for the Rejoice in the Lord category.